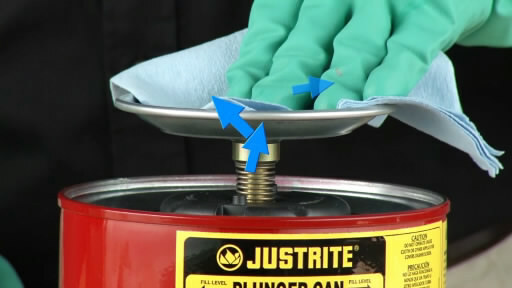 Quickly and easily moisten cleaning cloths & swabs. 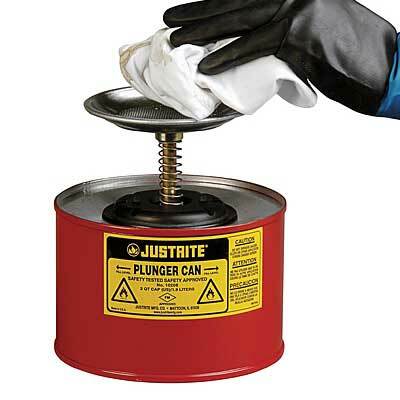 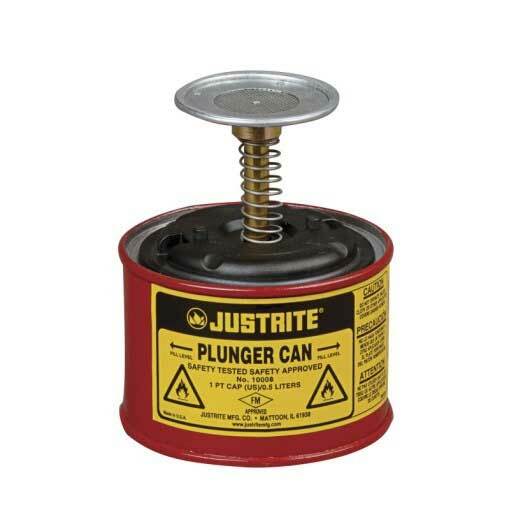 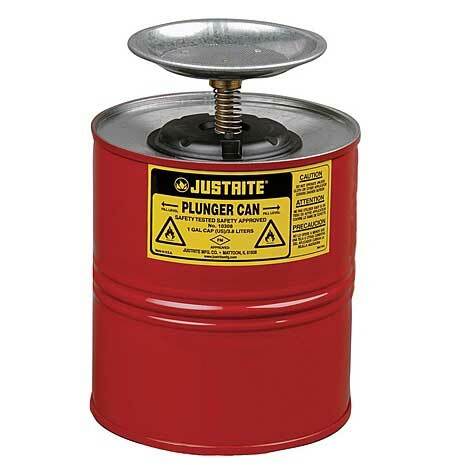 When you need to quickly and safely dampen a cloth with flammable liquid, the safest way to do it is via one of or special Justrite® flammable liquid plunger cans. 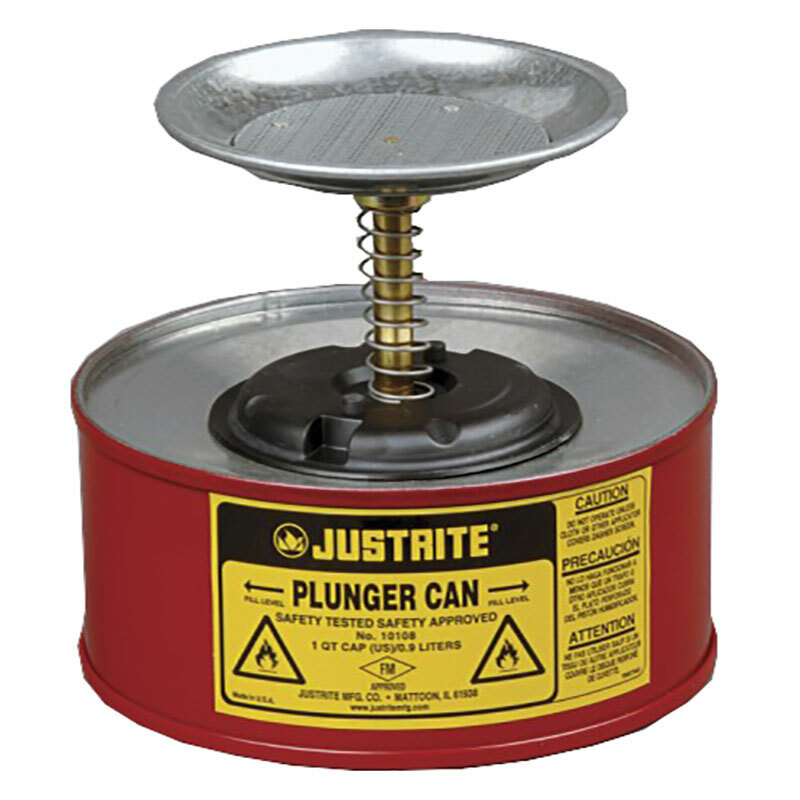 It works by applying the liquid direct to the cloth, with gravity making sure that any excess returns safely into the can, reducing the likelihood of spillage. 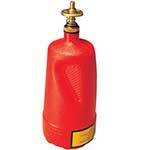 This model comes in a choice of terne plate body and steel dasher or HDPE body with a brass dasher. Either way, its a great addition to your workshop or industrial work space. 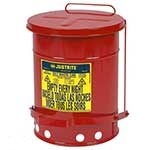 10008 - Ideal for dispensing solvents safely and economically to wipes and rags, ideal for any trade that uses solvents, particularly the print trade. 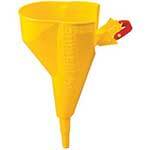 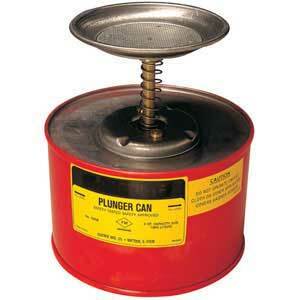 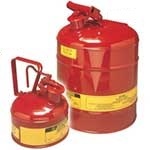 - Plunger cans are for use in chemistry lab and surrounding manufacturing areas. 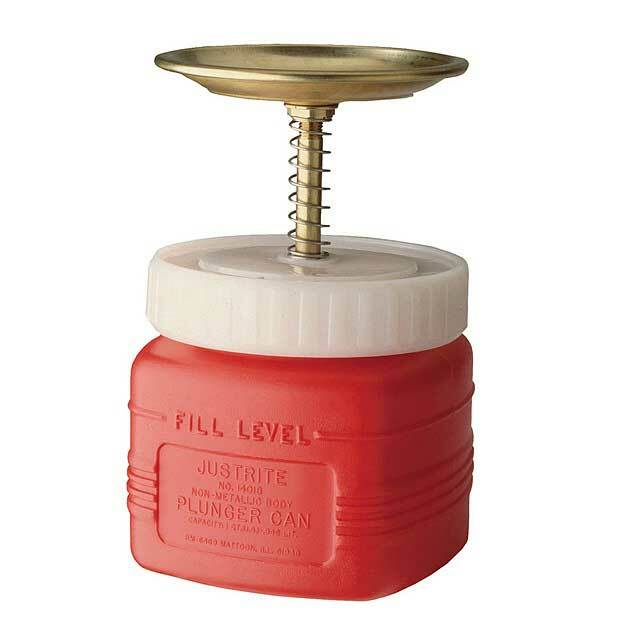 Very good product.